McDonald's has only "scratched the surface" of the potential for delivery, chief executive Steve Easterbrook has said, following the fast-food chain's strong financial results. The brand’s revenues for the first six months of 2017 fell 4% to $11.7bn (£9bn), as it continues its refranchising process in the US, but lower costs meant that operating income was up 19% to $4.3bn. Comparable sales in the second quarter, which take out the impact of factors such as new restaurant openings, were up 6.6% globally. In the international lead segment of the business, which covers the largest non-US markets, including the UK, comparable sales were up 6.6%. The consistent performance of the business was such that it grew both sales and guest count in each of its nine largest markets for the first time since 2008, Easterbrook said in an investor call. This April, McDonald’s achieved its highest monthly UK sales in its 43-year history in this country, he added. Easterbrook made no attempt to hide his confidence in the brand and its prospects, saying: "We’re fit for purpose with the right structure, right talent and right mindset. We’re behaving like a leadership brand." Burger on the sofa in your onesie? Easterbrook used the call to outline what he called the three key accelerators for McDonald’s: digital, delivery, and the roll-out of the "Experience of the Future" restaurant format in the US. "These new platforms for growth build on our foundation and enhance or accelerate everything we’re doing for our customer," he said. "They bring the most benefit to the most people in the shortest amount of time." The digital strategy is built on mobile order and pay, which is expected to be available in 20,000 restaurants by the end of 2017, including 14,000 in the US. Delivery, which launched in select restaurants in the UK last month via Uber Eats, is now available in 8,000 restaurants worldwide, Easterbrook said. 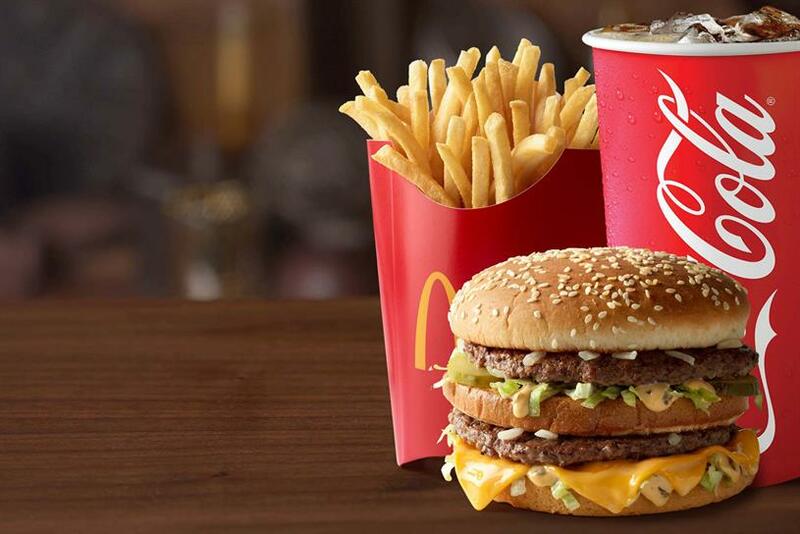 McDonald's awarded the global account for its delivery service to its roster agency Leo Burnett earlier this month. The service "illustrates our ambition to redefine convenience for our customers", Easterbrook said. "It also shows how McDonald’s can leverage our size and scale, as nearly 75% of the population in our top markets lives within three miles of a McDonald’s." Delivery was proving to be a spend driver, he added, with the average value of an order typically one-and-a-half to two times higher than in a restaurant. But, unlike moves such as introducing all-day breakfast in US restaurants, which provided an immediate boost, Easterbrook said, the impact of both mobile order and pay and delivery would be felt more gradually: "It will take time to build awareness, which is the initial step forward to changing customer behaviour." The brand is today holding a "Global McDelivery day", in which anyone placing an order for delivery will have the chance to win McDonald’s merchandise including pillow cases, picnic blankets and onesies.